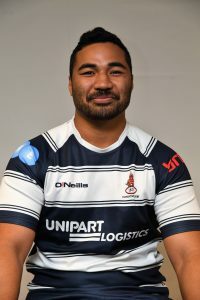 FORMER Queensland Reds back row Waita Setu will makes his debut tomorrow as Coventry bid to continue their winning start to the National League One season at Old Albanian (3pm). Setu replaces Luke Narraway at No.8 in a changed back row from last week’s 50-11 win over Birmingham Moseley with Brett Daynes, coming off the bench, and Olly Povoas on the flanks in place of rested Latu Makaafi and Jack Preece. Andy Brown and Scott Tolmie get their first starts of the campaign in the front row, rotating with Phil Boulton and Phil Nielsen who go on to the bench along with Narraway, while Kwaku Asiedu returns on the wing in place of Alex Grove, who is rested with a slight groin injury. 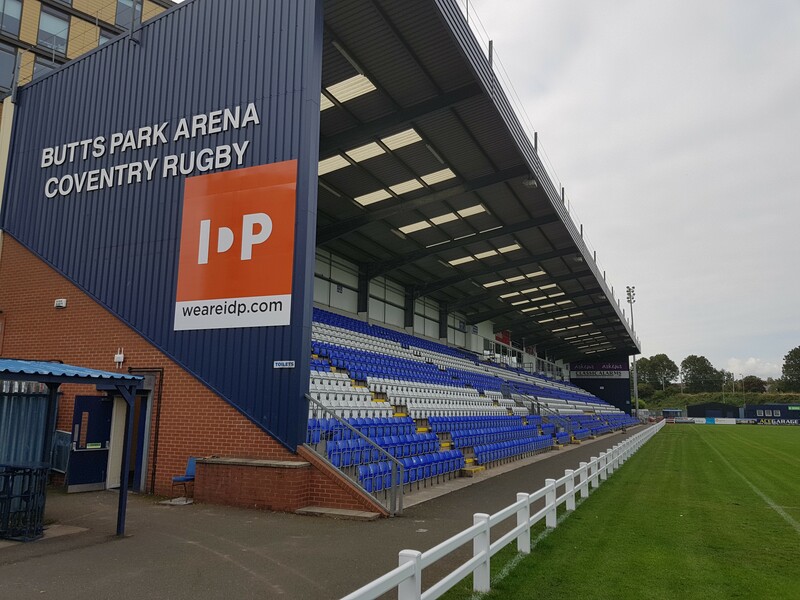 Cov have taken maximum points from their first two games while OA, who were on the end of a 73-8 home mauling when the two sides last met in April, have suffered two defeats, including a 58-0 home loss to Rosslyn Park. But director of rugby Rowland Winter insists that in making the changes Cov are in no way treating the opposition lightly. “We’ve brought in a Super Rugby player at No.8, while Olly and Jack have been neck and neck all summer, Jack has played the first two games, and now Olly is getting his opportunity to show what he can do,” said Winter. “Brett brings the right balance to the back row that’s been selected. “Waita has settled in well, he has been excellent in training and deserves his opportunity. I’ve been very impressed with his attitude. “Overall the match squad of 20 is pretty much unchanged from last Saturday, and we have a big squad with a lot of competition throughout. “While scoring 73 points was brilliant, that was last season and OAs have a new coach in Gavin Hogg and pretty much a brand new team, so it will be a different game altogether. They were out of sorts on the first day, but they showed what they can do last week by going away to Ampthill and almost winning and we expect a response to what happened in April. With Boulton on the bench, the side will be captained for the first time by centre Heath Stevens. Coventry’s development squad open their Zoo Sports Shield campaign against Jersey Athletic in a game to be played at Broadstreet (1pm). The team will be captained by Matt Price. Cliffie Hodgson has left the club to take up a player-coach role with Broadstreet, beginning this weekend with their National League Two South game against Canterbury. “His game time has been, and would continue to be, limited with the first XV and this is a good opportunity for Cliffie to challenge himself as a coach whilst continuing to play,” said Winter. “On behalf of the club, I want to wish Cliffie the very best with his rugby and his coaching career. He has been a fantastic servant to the club and we have thanked him for his efforts and commitments. He has our full support and we wish him well. Hodgson made 105 appearances for Cov in five seasons, scoring a club league record 1,037 points. “It’s been a massive honour to play for the club and, from the bottom of my heart, I say thank you to everyone that’s been part of that journey with me,” he said. “The greatest moment was to captain the side and lead them out for a whole season. “It’s arguably the toughest rugby decision I’ve ever had to make, but the club is moving forward rapidly in a positive direction, my career is probably my number one focus at the moment, and with work commitments it was difficult for me to keep up. “Broadstreet said they had a player-coach role, and I’ve made the decision based on what’s best for the team and for me. “The club really does mean a lot to me, from the playing side of things to all the supporters, and it’s been an incredible time. After every home game I’ve looked forward to going into the club and having a beer with the fans and a good time. “I’ve got the utmost respect for the club and the guys in charge, they are doing a fantastic job, and I want the team to do well, I want the team to win the league and I want the fans to get what they deserve. Prop Jake Byrne has been released and has joined Leicester Lions. “Jake hasn’t developed as he should have done after last season, his progress has stalled a little, and at this point we feel a move is the best thing for him,” said Winter. COVENTRY: 15 James Stokes, 14 Kwaku Asiedu, 13 Heath Stevens (captain), 12 Sam Tuitupou, 11 Rob Knox, 10 Will Maisey, 9 Dave Brazier, 1 Andy Brown, 2 Scott Tolmie, 3 Jimmy Litchfield, 4 Nile Dacres, 5 George Oram, 6 Brett Daynes, 7 Olly Povoas, 8 Waita Setu. Replacements: 16 Phil Nilsen, 17 Phil Boulton, 18 Luke Narraway, 19 Pete White, 20 Ben Palmer. Travelling reserve: Jack Preece. COVENTRY DEVELOPMENT: 15 Max Titchener, 14 Sam Payne, 13 Joe Lane, 12 Anthony Matoto, 11 Louis Roach, 10 Brendan Burke, 9 Connor Adams, 1 Harry Morley, 2 Matt Price (captain), 3 Luc Jeannot, 4 Mike Ryan, 5 Cameron Gray, 6 Willie Priestley, 7 Sam McNulty, 8 Tom Price. Replacements: 16 Tarik Tin, 17 Fred Clark, 18 Phil Ackuaku, 19 Myles Hibbs, 20 Harry Gaunt, 21 Sebastian Ionescu. Week 3 pits four of the top six sides against each other with the only two 100% sides, Coventry and Darlington Mowden Park facing bottom half opposition. Yet many of the ties are too difficult to predict and maybe for the third week in succession, no more than half of the home sides may win. Darlington Mowden Park, in second place, have Cambridge as their visitors. Cambridge’s home loss to Loughborough Students last week went somewhat against the form book and they should find DMP in good form. With Warren Seals proving his worth and pulling the strings, it should be a clear victory for the north-easterners. It could be back to reality for unbeaten league newcomers Bishop’s Stortford as they are at home to one of the pre-season favourites, Plymouth Albion. Having beaten the two other league newcomers, this will be a real test for the Blues as they look to consolidate their position in the division. Last week Albion put up a much better show in beating a fancied Esher side, but although full of confidence they will take the home side too lightly at their peril. It could be a close-run thing going either way, or in soccer parlance perhaps a score draw. Another key game is at Well Hall where unbeaten Blackheath take on fancied Ampthill & District. As Blackheath have made an impressive start to the season and Ampthill stuttered somewhat although also still unbeaten, home advantage should just swing it. However, Ampthill, and especially the pack, cannot be written off so another tight game is expected. A good win for Loughborough Students last week over Cambridge puts them in good stead for their home fixture against league newcomers Caldy. The size of Caldy’s home win over Fylde surprised many and with an experienced side, they could be more than a match for the Students who are perhaps still coming to terms with a largely new squad. Another tight one which could go either way. Two sides who had excellent first-week wins and then slumped to large second-week losses, Esher and Rosslyn Park meet in Surrey. Both will be looking to get their season back on track and, both with experienced squads, were fancied to challenge for the top. Again, this one is too difficult to predict but home advantage may just sway it. The Friday night fixture sees Birmingham Moseley at home to bottom side Hull Ionians. On the face of it, it should be an easy home win, however Moseley slumped to a heavy defeat at Coventry last week and how much this defeat, both mentally and physically, has taken out of them remains to be seen. Despite being pointless Hull Ionians have had their moments, especially in the first half, but have been unable to maintain that momentum and quality. It should be a home victory for the Midlanders. Two sides yet to win, Fylde are at home to league newcomers Old Elthamians. A disappointing start for Fylde, who are coming to terms with losing so many experienced players, but an equally poor start by OE who, despite an experienced squad, have struggled to adjust to NL1. OE appear to have enough ability to trouble the home side, but after a close battle Fylde are expected to win.